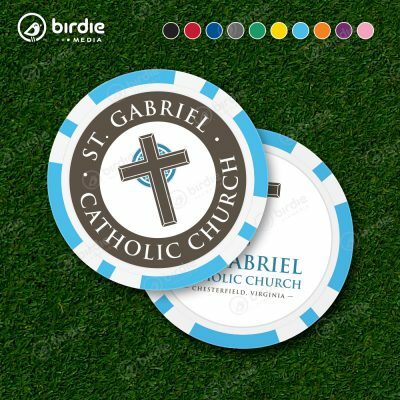 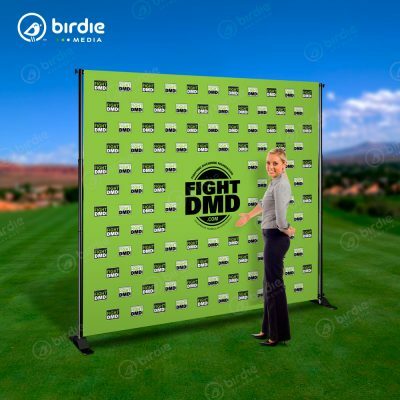 Birdie Media's feather-shaped 3oz. 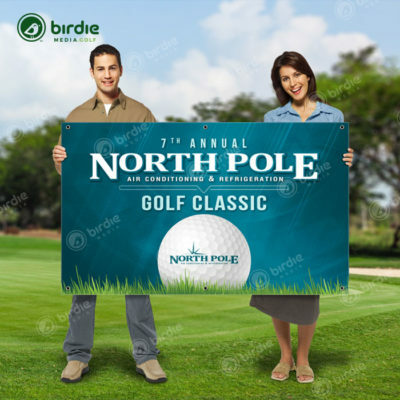 polyester flags are offered in 10' and 16.5' sizes and include a spike base for mounting. 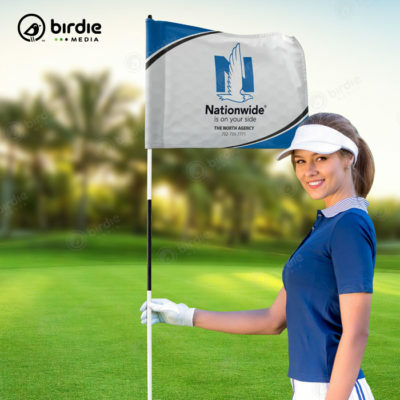 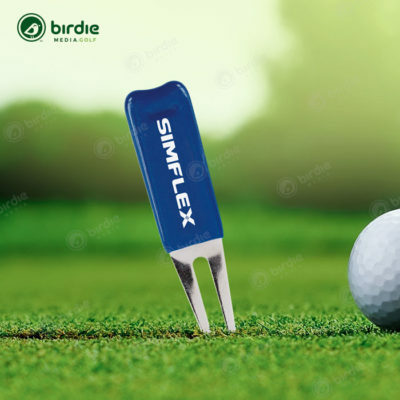 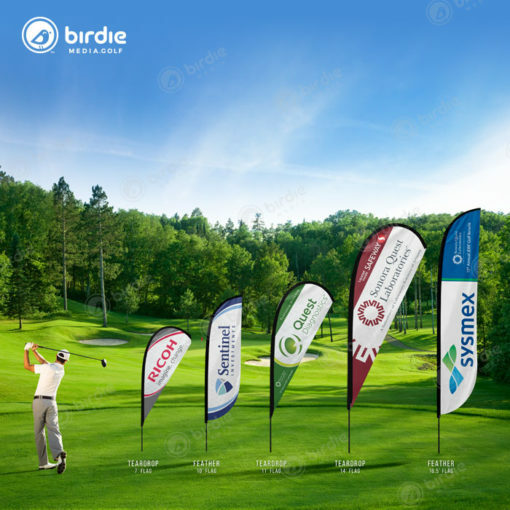 These custom designed feather flags are sure to garner attention at your next tournament.